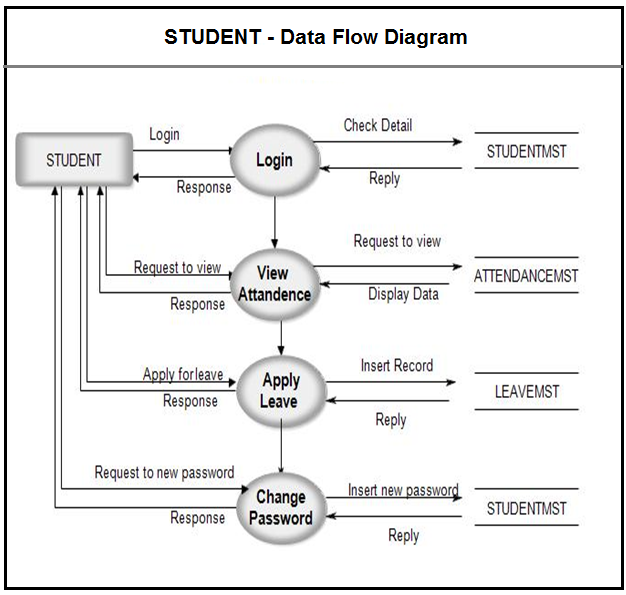 A data flow diagram is a graphical view of how data is processed in a system in terms of input and output. The Data flow diagram (DFD) contains some symbol for drawing the data flow diagram. Data Flow – Data flow are pipelines through the packets of information flow. Process : A Process or task performed by the system. Entity : Entity are object of the system. A source or destination data of a system. Data Store : A place where data to be stored. 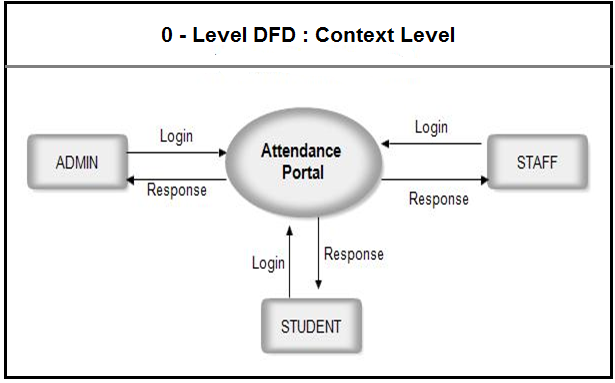 The context level data flow diagram (dfd) is describe the whole system. It shows the all user module who operate the system. 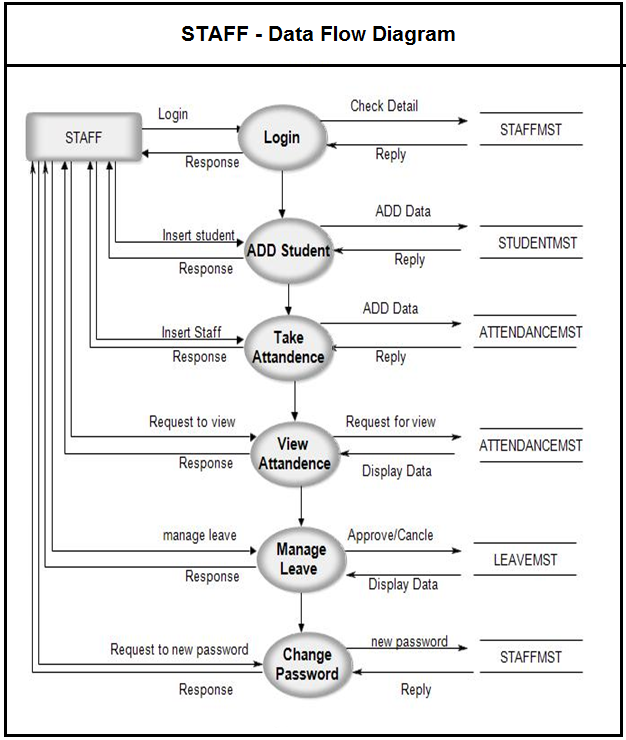 The student attendance management system data flow diagram shows there are three users to run the system Admin, Staff and Student. 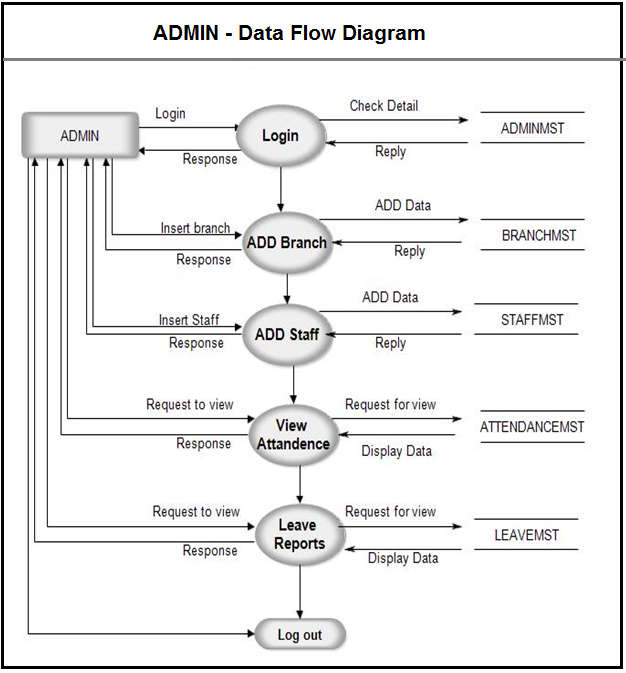 ADMIN – Data Flow Diagram for Attendance management system.